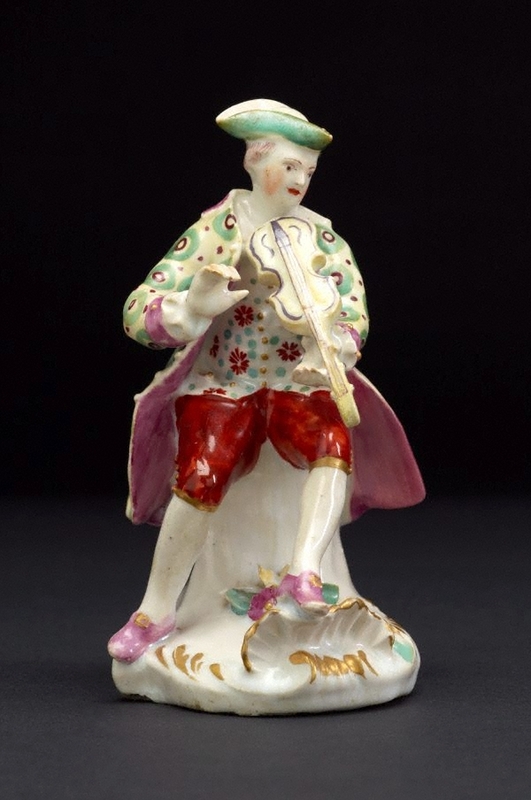 The figure is one of a set of musicians produced at Derby all loosely based on Meissen prototypes (compare L2012.55). The mark on this example is too faint to be clearly legible. A similar figure in the Metropolitan Museum of Art, New York, with closely comparable decoration, is marked ‘I.G.’ in roman script. It has been suggested that this may refer to the London decorator James Giles.